What Trump’s Tax Plan Means for Income Investments? Industrials: Transportation and trucking will benefit the most. According to an economic study at New York University, the average effective tax rate for all the profitable firms is 35.96% for trucking industry and 33.29% for transportation. Materials: Metals and mining companies are among the highest tax-paying firms. The bill is a clear win for them. On average, they are paying 42.30% effective tax rate. Real Estates: The bill will reduce the limit of mortgage interest deductions from the loan amount of $1MM to $750K. In addition, the total combined deductions on state and property taxes will be capped at $10,000. These provisions may have negative impacts on the house prices especially in the areas like California, New York and New Jersey where the house prices are high. Technology: Large tech companies like Apple, Microsoft and Google have the largest stockpiles of oversea earnings and cash. The bill will allow for one-time tax rate of 12% on cash returns and 5% on non-cash for corporate money repatriated from overseas. Many tech companies may take advantage of new rule and bring the money back to the States. It is likely to see more M&A activities in the tech industry. Utilities: Lower corporate tax rates and new depreciation rules will make more capital available to utilities firms to invest in infrastructure. The bill includes a bonus depreciation extension that will allow companies to deduct 100% of the cost of capital projects from their taxes in the first year, rather than deducting smaller amounts over a few years. Small-Cap Stocks: Small-cap firms normally generate larger part of their profits domestically relative to their large cap counterparts. According to BOA Merrill Lynch, small-cap companies in the Russell 2000 have an effective tax rate of 29.7%, compared with 26.9% in the S&P 500. It is expected that the corporate tax cuts will benefit small-cap companies more. However, there is one caveat here. 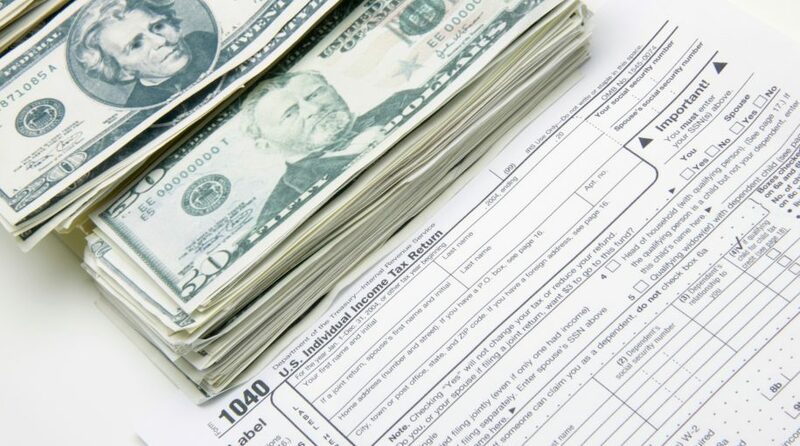 The bill will limit interest expense deductions to 30% of adjusted income. On average, small-cap firms have higher leverage, and thus more interest expenses. The debt/equity ratio for Russell 2000 index is 121% vs. 95% for S&P 500 Index, according to the latest data on FactSet.